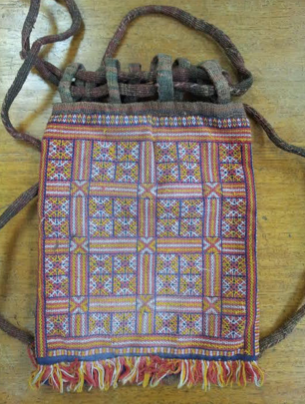 The bag is adorned with a planar repeating pattern. The planar repeating pattern has symmetry group p4m. 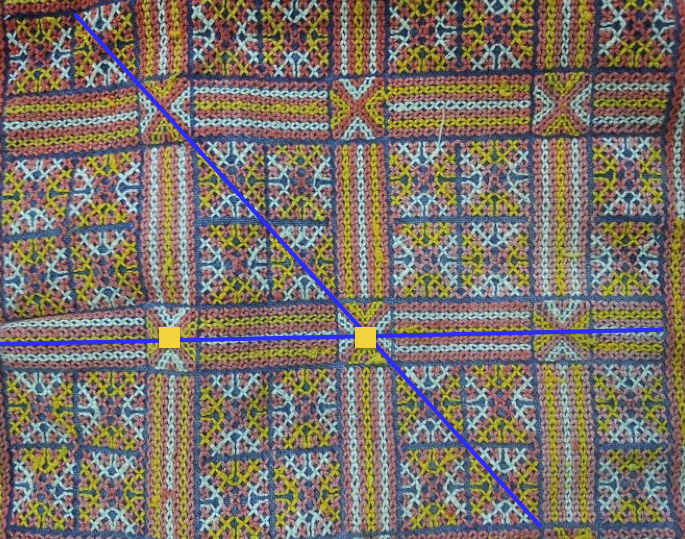 The symmetries include reflections with axes that form a 45o angle and 90o rotations with centers marked by yellow squares as shown.